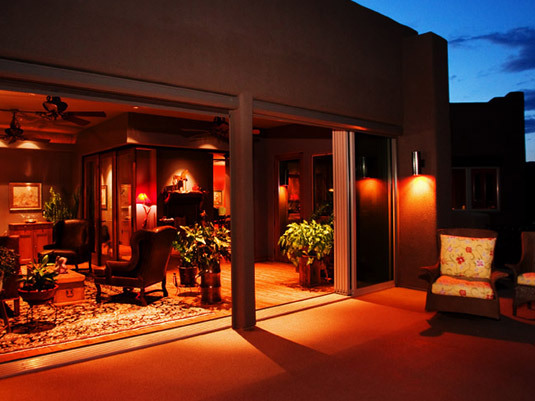 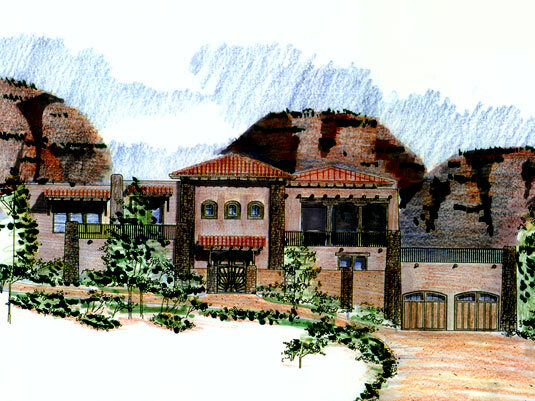 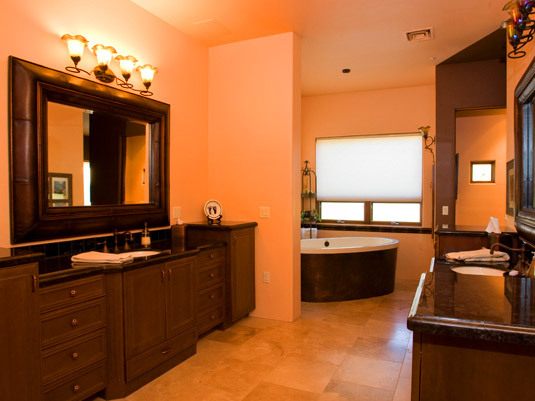 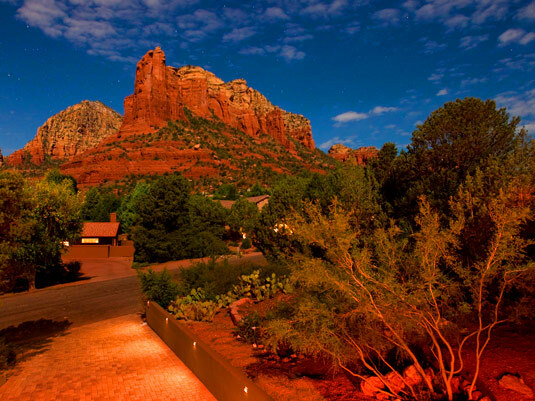 This is our third home we have designed for the beautiful town of Sedona Arizona. 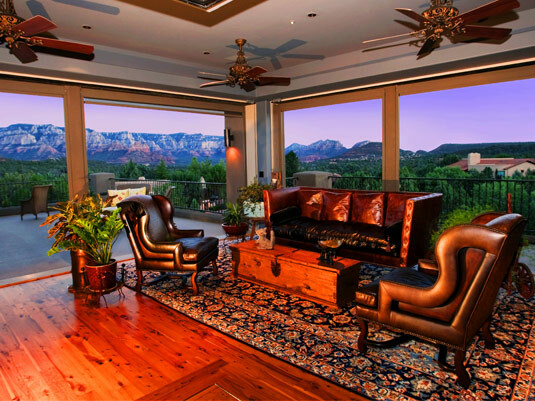 The home is situated on a rock outcropping, with expansive outdoor spaces capturing the surrounding red rock vista. 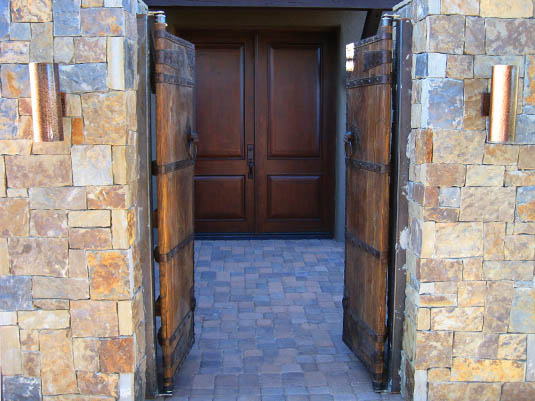 Here we have two layers of Nana doors, walls that open clear up to embrace the outdoors when the temperature outside allows. 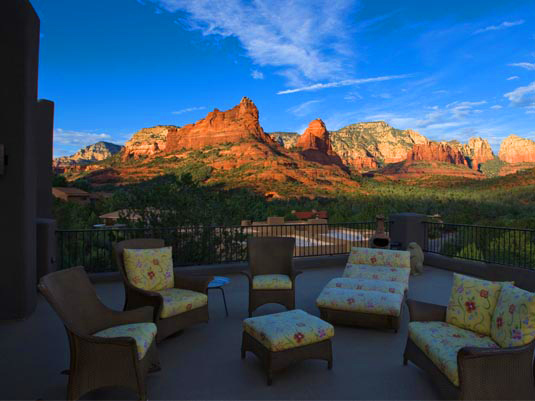 When the temperature is either too cold or hot for comfort, a simple flick of the switch closes the doors so everyone can still enjoy the view without the discomfort of the Arizona temperature swings. 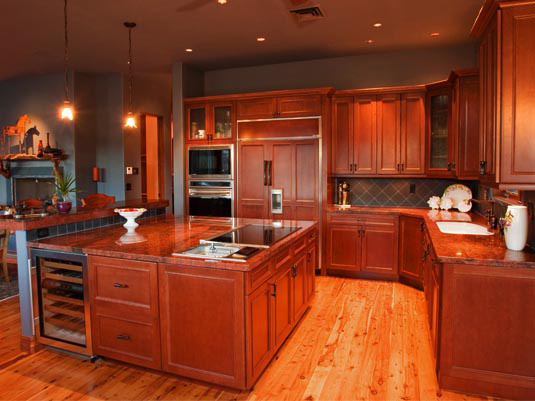 The home has a wide open floor plan with a super sized kitchen for entertaining as the owners often welcome guests from out of town. 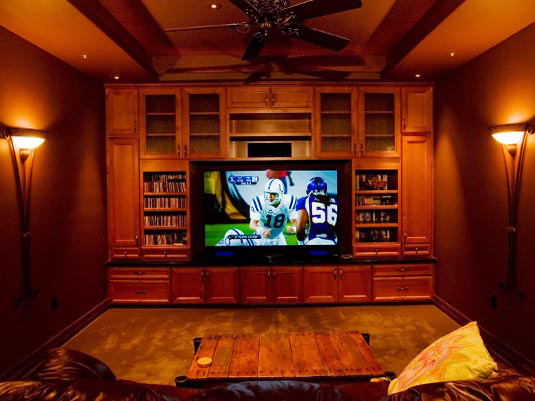 It also has a great library and media room for quiet days at home.